Ukraine Crisis: What Is Novorossiya Role? MOSCOW, Russia -- A Russian public movement called "Novorossiya" (New Russia) provides help for the rebels in eastern Ukraine and is now on the EU sanctions list. Russian Igor Strelkov led the revolt in eastern Ukraine but later returned to Moscow. Historically Novorossiya was a large swathe of southern and eastern Ukraine which became part of imperial Russia. Russian President Vladimir Putin has spoken about it since Russia's annexation of Crimea last March, helping to stir nationalist feelings about the region. How did the new movement arise? It was established last November by Igor Strelkov, who is described by the EU as an officer in Russian military intelligence (the GRU). Strelkov (real name Girkin), a Russian citizen, came to prominence last April, when he led a group of pro-Russian fighters into the east Ukrainian city of Sloviansk. That was the trigger for the large-scale armed uprising against the Kiev authorities in the east. Later, as the chief rebel commander in Donetsk, he became an iconic figure for Russian nationalists, monarchists and other supporters of the rebel cause. What is Novorossiya doing now? Strelkov is based in Moscow now and Novorossiya provides humanitarian aid to the rebel-held regions. The EU says the movement "helps militia fighting in eastern Ukraine, thereby supporting policies undermining the territorial integrity, sovereignty and independence of Ukraine". Strelkov had already been put on the EU and US sanctions blacklists last year. Novorossiya says it has 26,000 active supporters across Russia, and relies on volunteers' donations. How did Novorossiya react to being blacklisted by the EU? Strelkov's deputy, Igor Ivanov, believes the EU move is pointless. "It is ridiculous to treat our organisation, which supplies warm clothes, food, medicines, in the same way as you would treat a military unit. " Also, sanctions cannot work in practice. We are a civil society movement, we have tens of thousands of members who bring donations to our collection points. We organise campaigns among schoolchildren and church parishioners. Can the EU sanction all Russian schools or churches? "Obviously, it's a joke," he told the BBC. However, Ivanov did not deny that the movement helps rebel fighters, as well as civilians. In fact, he believes there is no distinction. "We support the rebels as well as the civilians. And there are some civilians who are being kept alive only thanks to the rebel units stationed nearby. "Because of Kiev's policies, the population of Novorossiya is left without jobs, salaries or welfare benefits. They are abandoned, they have nothing to eat, and sometimes they are looked after only by the nearby rebel units." The movement has representatives in several large Russian cities and a network of collection points. Its supporters include conservative Orthodox Christians, nationalists and monarchists. 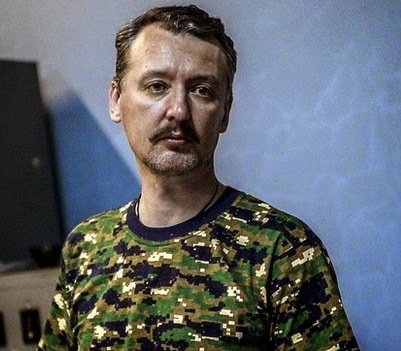 Strelkov is an outspoken critic of corruption in the rebel-held areas and says he personally monitors distribution of Novorossiya aid, to make sure it reaches the right people. Being subject to Western sanctions will be considered a badge of honour by its supporters, who suspect the West of plotting against Russia.